Not everyone one believes in angels and angel numbers, but I do! It has been a while since I have blogged — been down another leg of my journey. Also, still a little high off a good month during a 31-day challenge regarding helping others with health and wealth. I am still very excited about helping others through ‘Courage under Siege’. An anthology I am grateful to have been part of. It became an International Best seller on Amazon. Plus I was so thrilled it was on ‘hot new release list’ which will entice more people to read it. This will help more receive support through the eleven ‘Adversity to Victory’ stories. Putting myself out there with personal details was not easy. Likewise, not everyone believes in angels and angel number signs. They do not look to God, Universe or higher self for answers and help in life. I have been very busy and had a few old health complaints had crept up a wee bit into my life. Stress is hard on the immune system. But for those of you that have read ‘my journey’ and Courage under Siege, you will know that the #38 somewhere in my day reassures me I am still doing well. I am so grateful for my guardian angels that wake me at 6:38 am in the morning to assure me all will be okay. Also drawing my attention to the angel number 38 – possibly on a license plate etc. 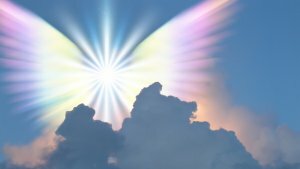 On a recent trip, I was glad to know that my angels were with me. I am a bit of a nervous driver, but so often I will get in my car and the time will be exactly 38 minutes past the hour when my journey starts. On a recent three hour trip to friends, I didn’t get to return home as early as I had hoped. But, then noticed it was 10:38 am when I finally got in my car to leave. Luckily I had noticed the time. Because the visibility at some times on the trip home was so bad from thunder storms that many of us drivers had to pull over. Rain beat down and seemed to go sideways making the road like a river. The windshield wipers could not keep up with the downpour. But, I had seen my 38 so I knew my angels were driving with me. 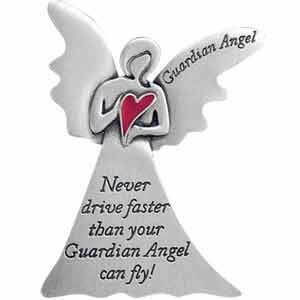 So, a big thank you to Ron MacLean for reminding me to let people know that Yes, I believe in Guardian Angels. I am so grateful for all their help and guidance!